Dust off those old treasures hidden away in your basement or attic and haul ‘em out for some sunshine! 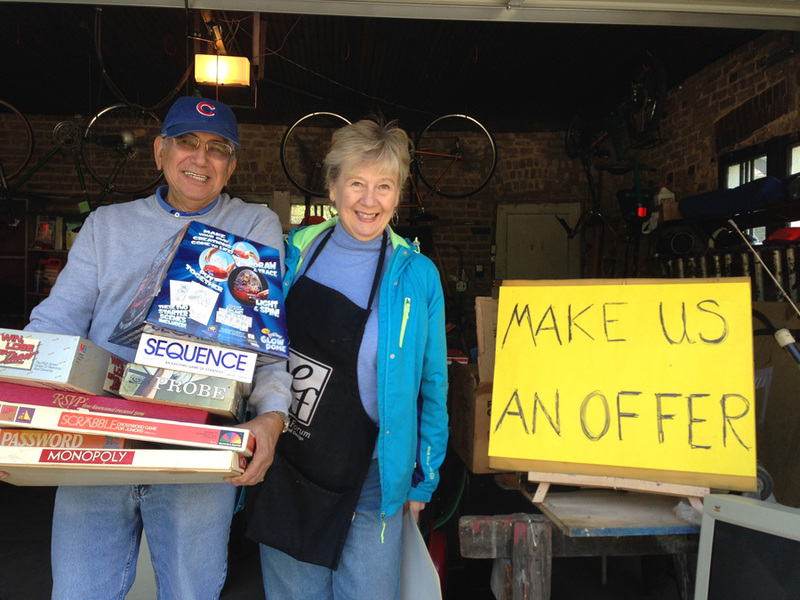 The annual Ravenswood Manor Neighborhood Garage Sale is one of the oldest and most popular neighborhood-wide events in the City of Chicago and a fun and fruitful way for residents to do some spring cleaning. People come from far and wide to shop the goods assembled by more than a hundred households in one of Chicago’s most desirable neighborhoods. Streets and San asks that any sellers that need a bulk pickup on Monday should call 311 Sunday evening. This way the 33rd Ward crew will know how much manpower they will need on Monday. Also, if you have smaller items, please bag them up help speed up pick up. Thank you. Seller registration is open for 2019. 1) Complete the RMIA registration form below, no later than Monday, May 6th. RMIA uses this information for the bulk sale permit issued through the 33rd Ward office, for the online map on the event page, and to communicate event updates as we get close to the Garage Sale. 2) Make a donation to RMIA to defray the cost of advertising and other event costs. Please use the PayPal button below and make a secure payment with any credit card. RMIA advertises and promotes the Garage Sale online, in newspapers, and through neighboring organizations. You can help bring people to the Garage Sale by promoting it to your friends and network through email, facebook, and twitter. We provide copy/paste text below for you to edit and use as you like. a) Use PayPal with any credit card by selecting your donation level below and clicking the PayPal button. 3) Bulk permit process: RMIA will submit all registrations together to the 33rd Ward office for a bulk permit. Therefore, you must register by the Monday, May 6th deadline. Copies of the bulk permit will be emailed to each participant, and you should display it on the day of the garage sale. 4) Tell your friends and spread the word! Registration Form, see donation buttons below. Thank you. Please make a donation to support promotion of this year’s Garage Sale, thank you!